Get out of your hotel or resort and see this amazing country. I’m always amazed at those who never leave the resort. I totally understand why you stay, but there’s a whole world of adventures waiting out there for you. When I traveled to a resort in Jamaica, I spent lots of time at the resort…but I also took day trips. There are so many fun things to do in Jamaica, whether it’s exploring its spectacular nature or visiting iconic tourist attractions. 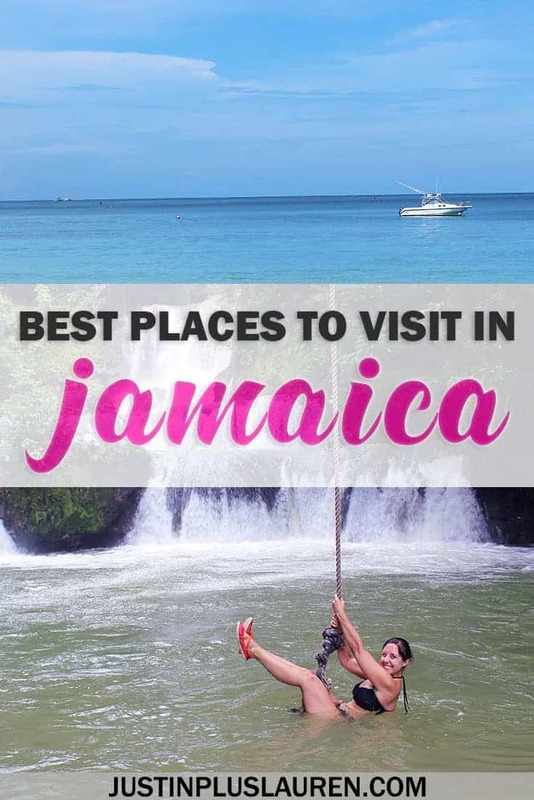 If you’re searching for some ideas, I’ve come up with a list of the best places to visit in Jamaica. No matter if you’re visiting on the east or west coast of the country (Jamaica is a lot bigger than it looks! ), I’ve got some ideas for Jamaica activities that you’ll remember for a lifetime. 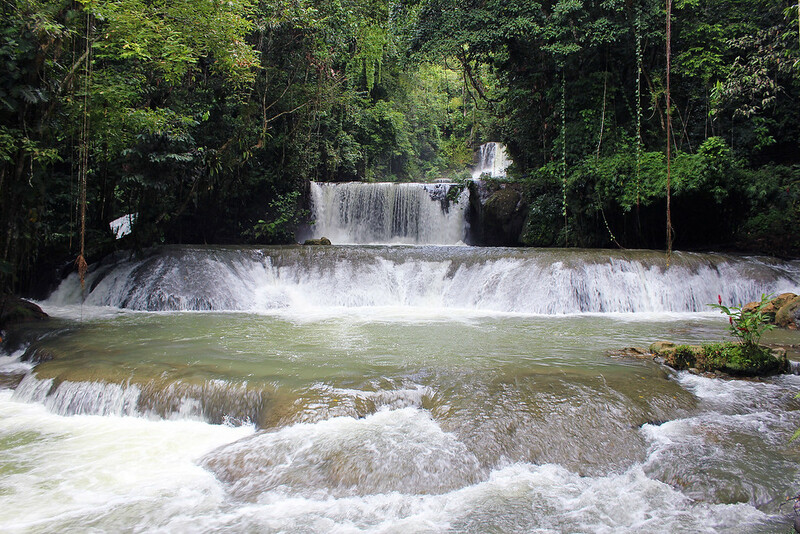 Did you know that Jamaica was named Land of Wood and Water by its original indigenous inhabitants? 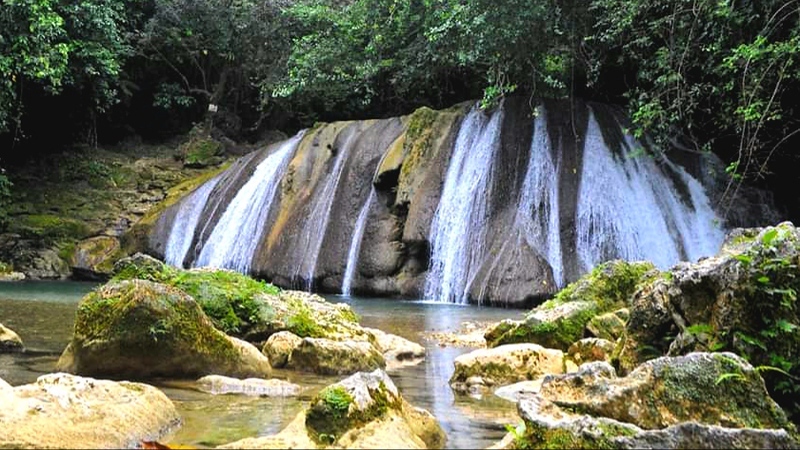 Jamaica has a very diverse landscape: rugged mountains, over 100 rivers, and rich limestone rock deposits. The rivers have carved many picturesque cascades over time. In addition to exploring the natural environment, there’s a vibrant culture that you can experience through its food, rum, music and festivals. To make the most of your visit to Jamaica, it’s best to travel with someone who knows their way around the island. After all, you’re on vacation, so it’s best to leave the stress of driving around to someone else. 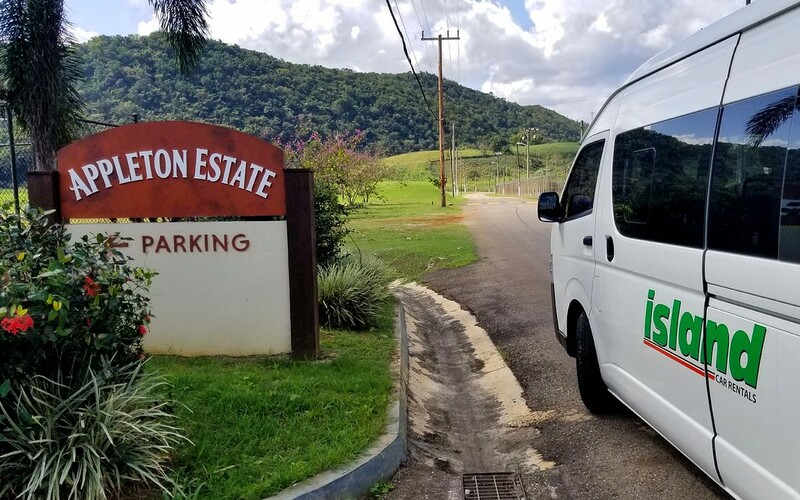 Your driver will take you to the best places to visit in Jamaica. Jamaica is the third largest island of the Greater Antilles, and it’s divided up into 14 parishes. Each parish has its own capital town, and every parish has a coast (there are no landlocked parishes). St. Elizabeth is one of the oldest parishes in the southwest of the island. While St. Elizabeth isn’t visited as much as some of of the larger cities and resorts, making it a fantastic place to get into nature and away from the crowds. 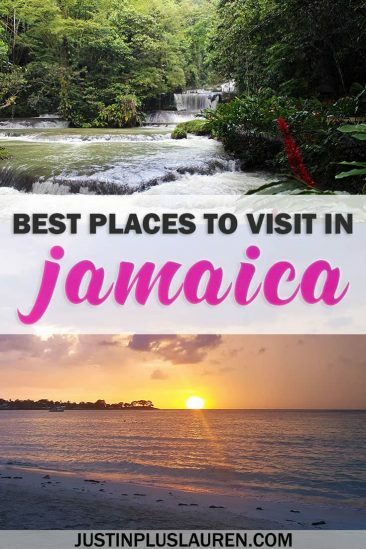 It’s home to some of the best places to visit in Jamaica. Appleton Estate is Jamaica’s oldest sugar plantation and distillery, set in the delightfully lush and fertile Nassau Valley. 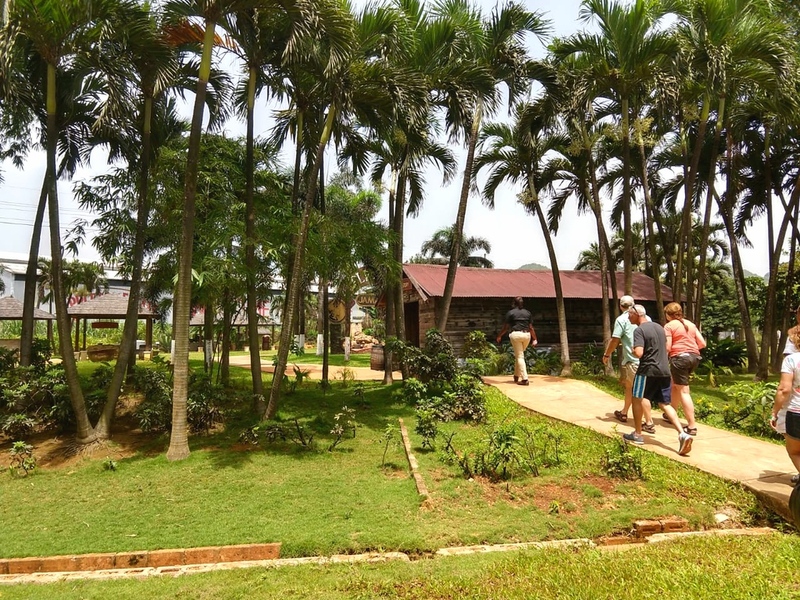 The Joy Spence Appleton Rum Estate Experience is an elegant two-hour tour, showcasing what it takes to make one of the world’s finest rums. You’ll get to see, taste, smell and savour every stage of the production process from sugarcane to glass. With an all-you-can-drink rum punch, complimentary Stormy Valley rum cocktail plus other samples along the way, you’ll be glad someone else is doing the driving once you are done with the tour. Go on, indulge. YS Falls is a lovely river and seven-tiered waterfall cascading through a stunning rainforest of towering trees, ferns, bromeliads and tropical flowers. A 10 minute tractor and jitney ride takes you from the entrance, past a farm and to the main entrance. The relaxed rural atmosphere is perfect for a relaxed family day out. Complimenting the natural beauty of the river and falls are several child-friendly natural pools, a canopy zipline tour, rope swings and staircase alongside the river so you can admire its beauty from the side-lines if you wish. Located 520 metres above sea level is Lovers Leap, offering a 180° panoramic view of the Caribbean Sea and Jamaican Santa Cruz mountains. It is said that two star-crossed lovers chose to run away together and jump from the cliff, rather than be parted by a jealous plantation owner who wanted the female slave for himself. 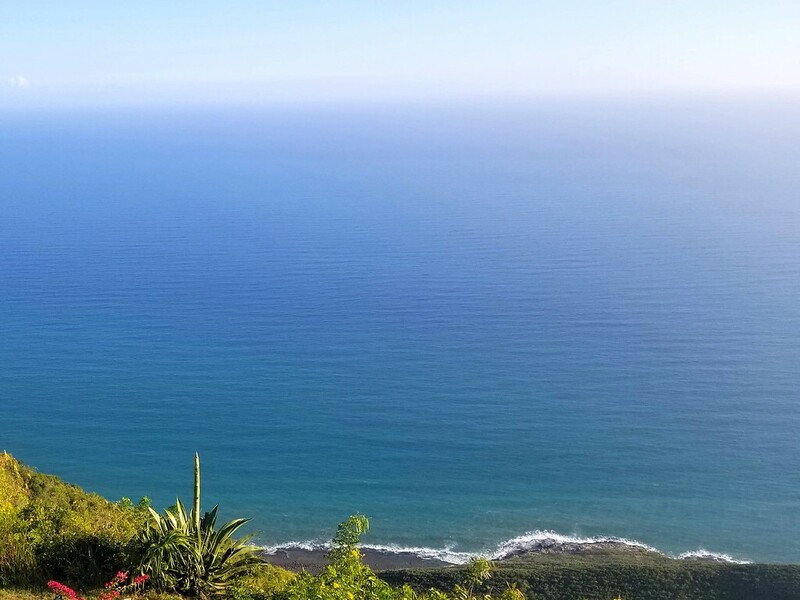 Lovers Leap is home to the highest lighthouse in the Western Hemisphere, lovingly tended gardens and a lively bar and restaurant serving Jamaican dishes. There’s live music on Sundays and the glorious sunset at Lovers Leap is not one you’ll soon forget. 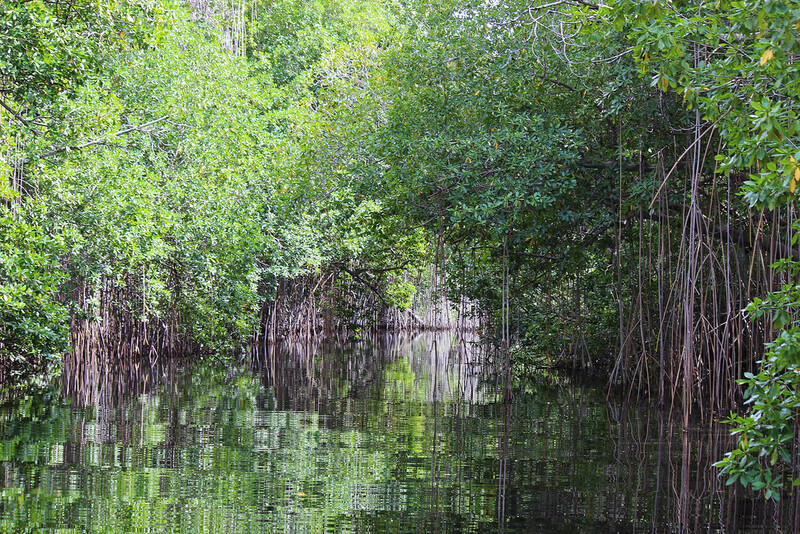 The Black River is the longest river in Jamaica, and it’s an ideal place to view the mangrove swamps and native species living in their natural habitat. 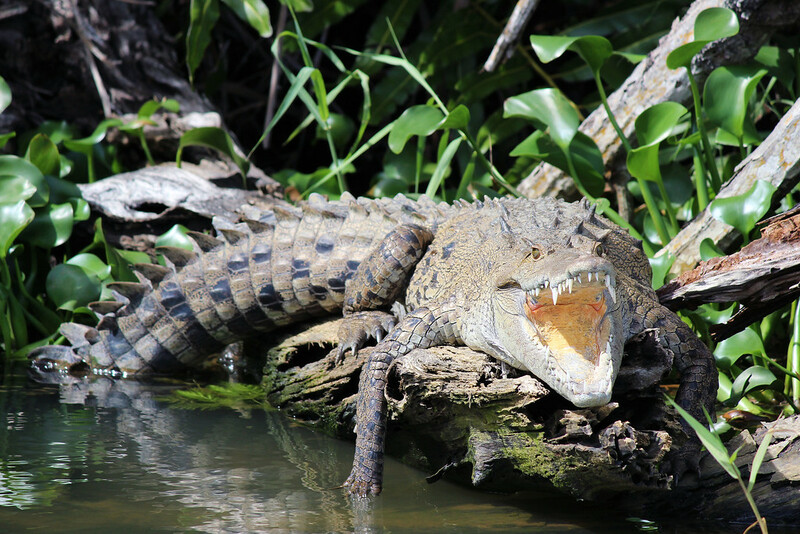 Though this region is home to over 100 species of birds, the main attraction are the crocodiles. On a Black River Safari, float past birds, crocodiles, and explore the mangrove swamps. 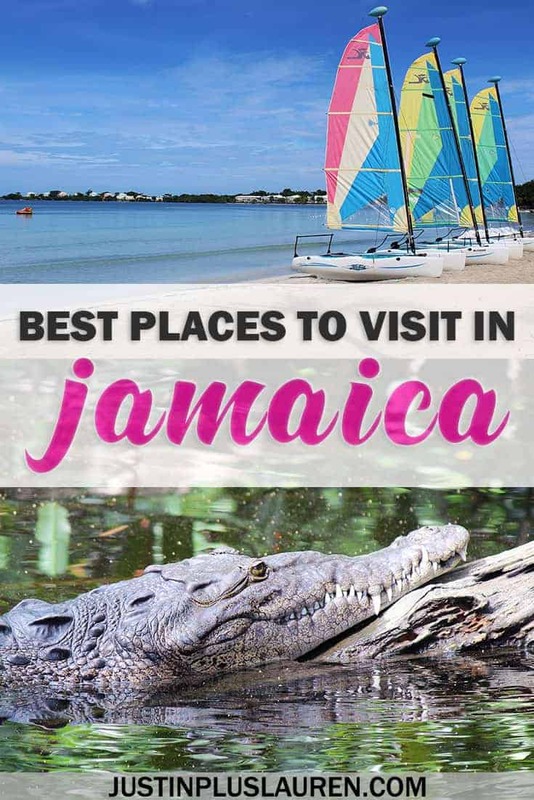 It’s such a peaceful and calm place to see the wildlife of Jamaica, so it’s right up there with the best places to visit in Jamaica. Portland Parish is on Jamaica’s northeast coast and home to some of the most brilliant natural wonders. You’ll find lush vegetarian, alluring caves, beautiful beaches, and the peak of the Blue Mountain range. Portland Parish has many Jamaica day trips that you’ll love. Here’s my list of some of these best places to visit in Jamaica. In the easternmost end of the island lies another beautiful cascade known as Reach Falls. This attraction offers a blend of relaxation and adventure, centered around a main waterfall cascading into an emerald pool. You can hike upstream, admire the 23 species of ferns that grow here and keep an eye out for variety of endemic birds in its surrounding green canopy home. The scenery might look familiar. It’s featured in Hollywood films such as Tom Cruise’s Cocktails and the remake of Lord of the Flies. Don’t miss out on splashing about in the natural heart-shaped jacuzzi. Be sure to explore the naturally-occurring underwater cave, recently nicknamed the “Rabbit Hole” in a viral online video. 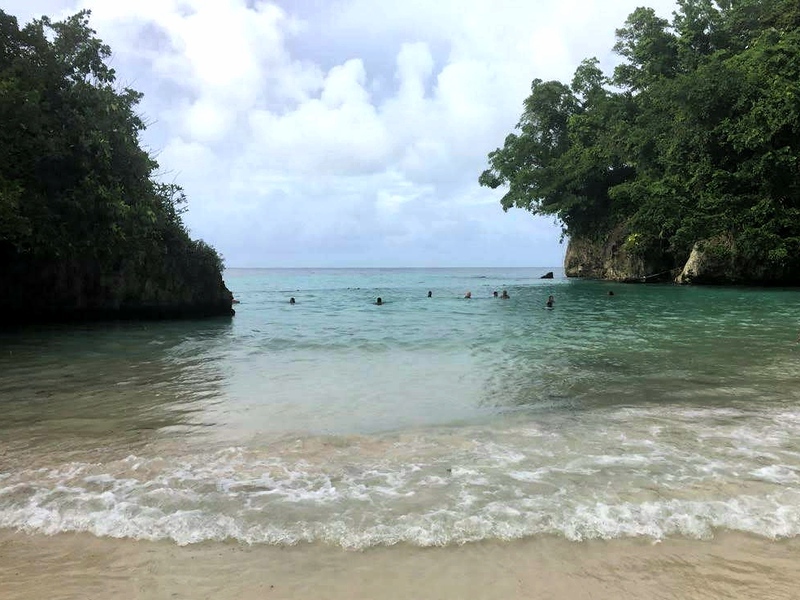 Also on the east coast, lies one of Jamaica’s most beautiful beaches, Frenchman’s Cove. The beach gets its name from a fiery battle between the British and French near the Cove centuries ago, after which the defeated French soldiers sought refuge there. There’s a river meandering through the property to greet the sea and its water is the perfect shade of aquamarine. Once a resort for the mega rich, today you’ll enjoy the mixture of warm salty waves and cool river current amidst coconut trees and jungle-like foliage. What this tiny beach lacks in size, it more than makes up in its idyllic charm and romantic location. Frenchman’s Cove is one of the most lovely beaches and one of the best places to visit in Jamaica. Boston Bay is one of the best places to visit in Jamaica for a few reasons. First, it’s a cute little beach with the stunning waters and sand that have made Jamaica famous. Next, it’s a popular place to try surfing on the island as high waves roll in to meet the shore. Third, Boston Bay is known as the birthplace of jerk cuisine in Jamaica. This spice blend originated here centuries ago, and nowadays there are still stands at Boston Bay selling jerk food. The Blue Mountain range hovers over the rest of Jamaica, famous for the blue haze that lingers at their summits. This region is primarily known for their world renowned coffee beans that grow perfectly in this ecosystem. Why not take a tour of the Blue Mountain coffee plantations? There are several coffee estates and resorts all within a short drive of each other. Meet with local farmers, learn about how the beans are grown, and sample several delicious cups of coffee. Westmoreland Parish is home to the popular town of Negril and famous for its spectacular white sand beaches. You can spend an entire day in Negril and a private chauffeur service is the way to go. 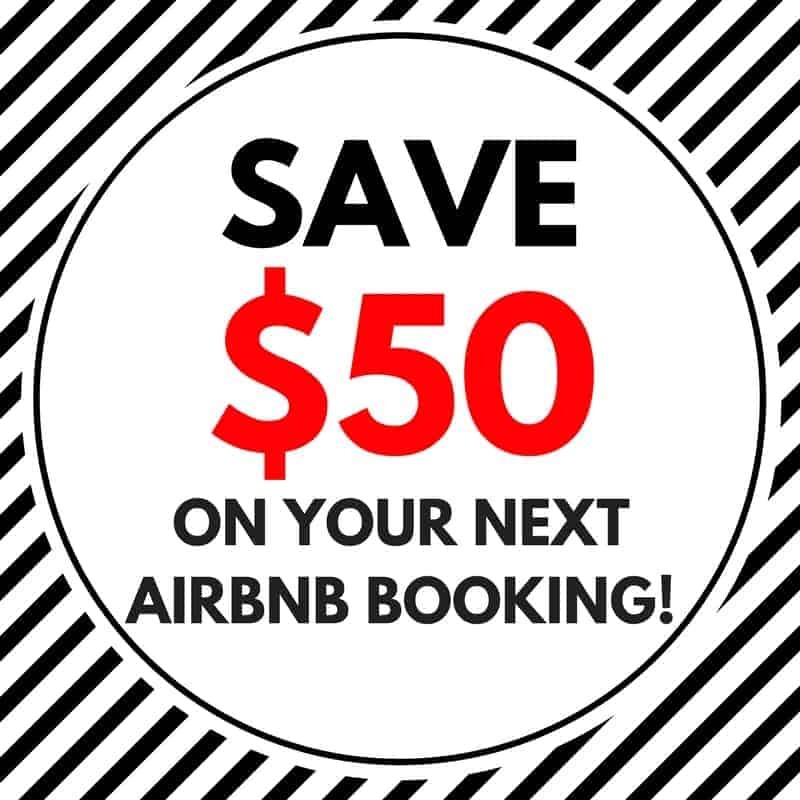 Get picked up and dropped off at several popular locations with a private driver, so you won’t have to worry about finding your own way around the city. 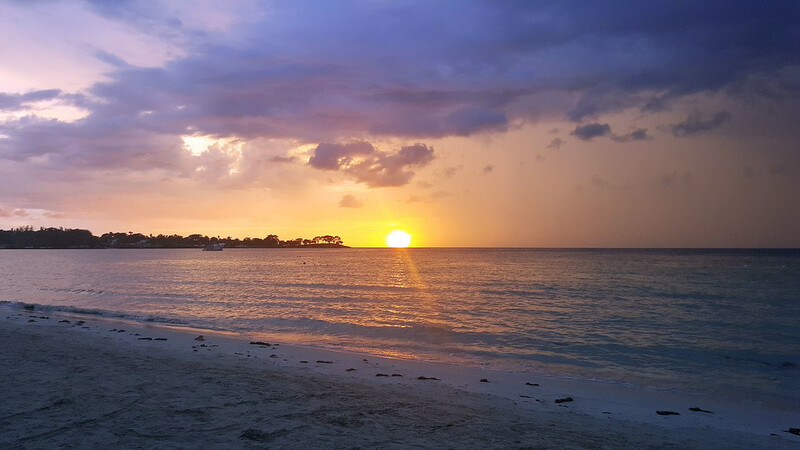 Is Negril the best place to go in Jamaica? You be the judge! A visit to Negril is one of the most fun Jamaica day trips. Negril is most famous for its magnificent white sand beaches and vivid turquoise waters. It’s a perfect little piece of paradise where you can float around in peace. The water is quite shallow, so you can wander out for quite a distance. And it’s so clear, you can see right to the bottom. Seven Mile Beach is a favorite spot in Negril, although I loved Bloody Bay Beach near our resort the most. No matter which beach you choose in Negril, it’s going to be a memorable day of fun in the sun. Rick’s Cafe is a famous bar in Negril, and it’s worth making the trip there. Even though it’s pretty touristy, it’s one of the best places to visit in Jamaica for good reason. 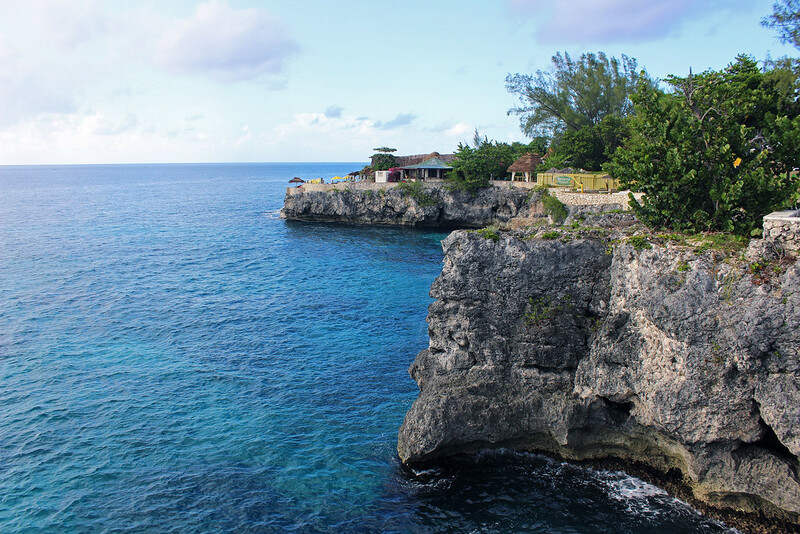 While the drinks are plentiful and the views sensational, Rick’s Cafe is most well known for one thing: cliff jumping. 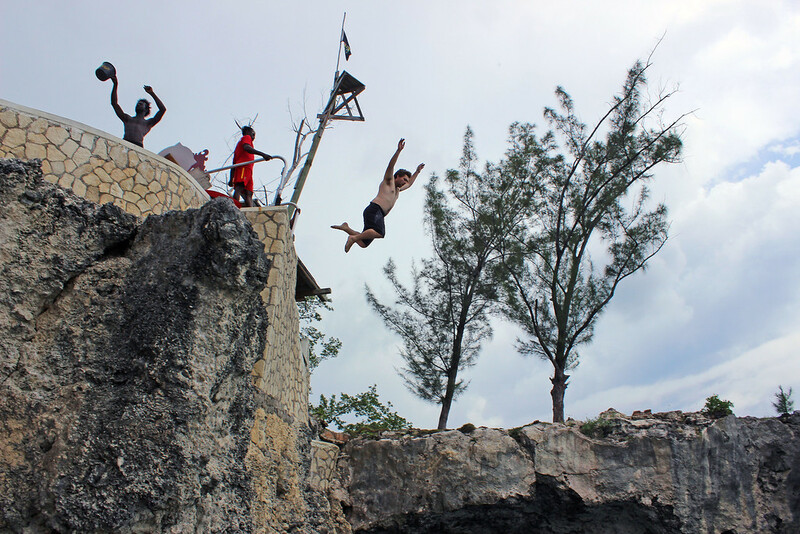 While many of the cliff jumpers are those who work at the bar or locals familiar with the cliffs, tourists and travelers are encouraged to jump off the edge of the rocks. It’s up to you whether or not to jump (I didn’t! ), but you’re welcome to enjoy a cold beverage and take in the beautiful and energetic sights and sounds. It’s definitely one of the most exhilarating Jamaica activities. 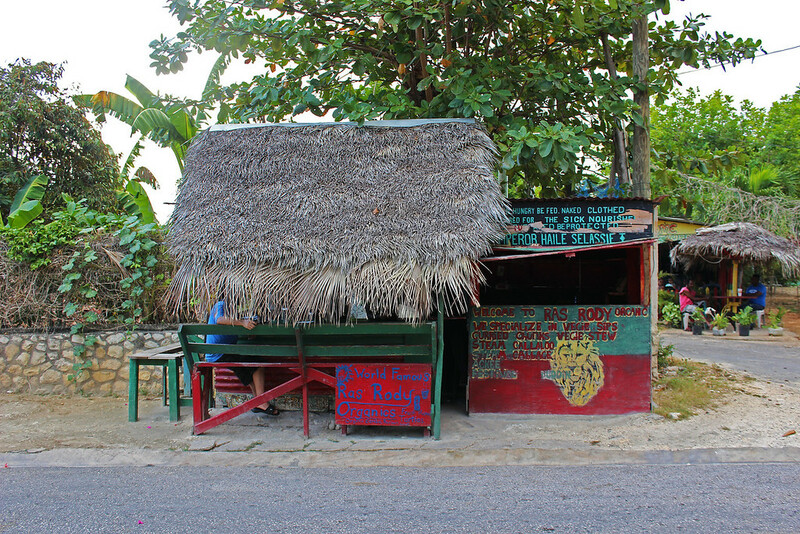 Ras Rody’s is a small roadside hut that sells organic and fresh meals in Negril, near Rick’s Cafe. 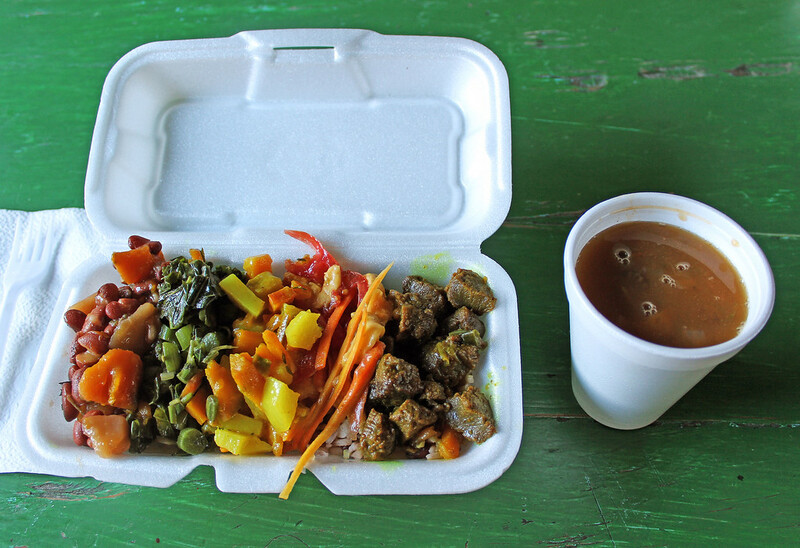 They’ve prepared vegan, all plant-based meals in Jamaica for twenty years now. It is Ital food, which is cooked and prepared in accordance with the principles of Rastafari. The main basis of Ital cuisine is that food should be fresh, natural, and from the earth. The ingredients in Ras Rody’s meals are extremely fresh. The family harvests the food daily from their gardens. The menu stays mostly the same, though it is cooked according to which ingredients are fresh and available at the time. My meal there was absolutely delicious, and one of the best I’ve had on my travels. If you’d like to go shopping, buy some souvenirs, or get your hands on some of that Blue Mountain coffee, Time Square Shopping Mall has it all. Ask your driver to take you to Time Square for a couple of hours so you can bring home all kinds of treats and gifts that remind you of this wonderful country while you’re back at home. I have one recommendation for Trelawny Parish because it was one of the most incredible excursions of my life! 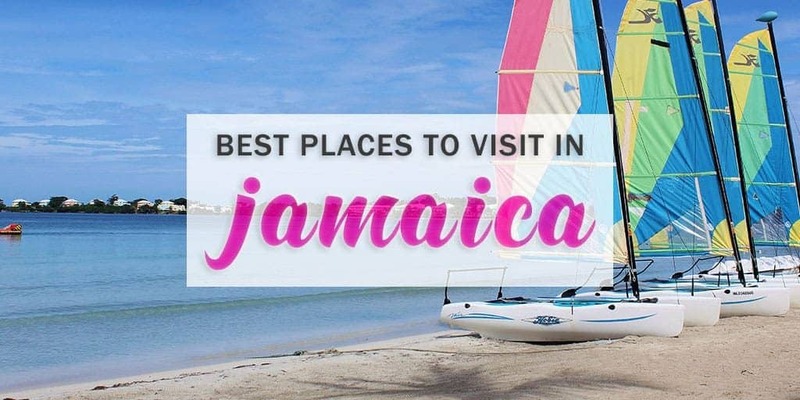 With so many fun things to do in Jamaica, I’m sure you could list lots of potential Jamaica day trips for that title. However, this is one of the best places to visit in Jamaica because it’s so unique, magical, and unlike anything I’ve witnessed before in my life. At Glistening Waters (also known as Luminous Lagoon), you’ll find quite possibly the best place to go in Jamaica. There are millions of microscopic organisms that emit a phosphorescent light when they are disturbed. This is a natural phenomenon called bioluminescence. The marshland is brackish, meaning that it is a combination of salt and fresh water (from the Martha Brae River and the Caribbean Sea). These microorganisms thrive in brackish waters. Furthermore, they glow the brightest in shallow water. 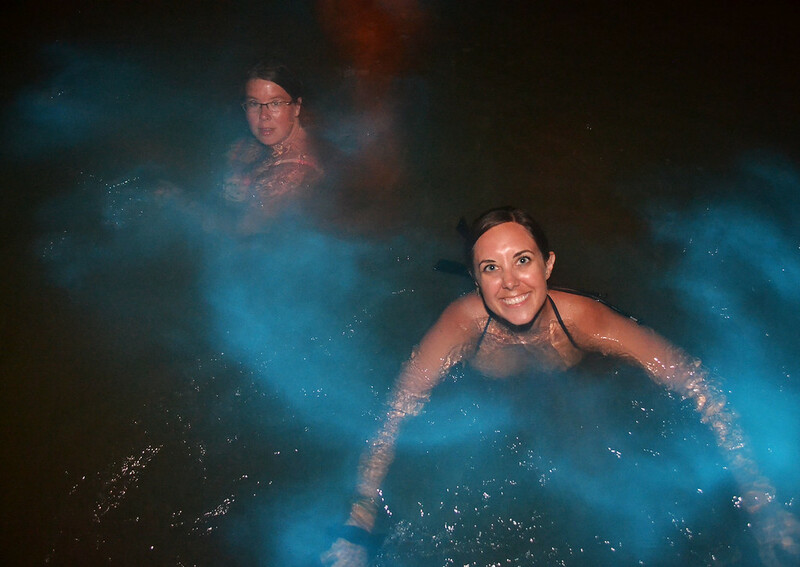 Luminous Lagoon has a depth of three to eight feet, so the microorganisms glimmer vibrantly. Luminous Lagoon was an incredibly ethereal experience. There are only a handful of places in the world where you can experience this anomaly. The mangrove lagoon at Glistening Waters is thought to be one of the most brilliant and bright, and it’s certainly one of the best places to visit in Jamaica. Discovering Jamaica beyond the resorts has never been easier. Island Car Rentals Ltd. is a locally owned car rental company with Jamaica’s largest fleet of 1,500 vehicles. In response to the demand from visitors who would rather have someone else do the driving, Island has developed a range of services. These satisfy individual and groups in the leisure and corporate markets, not limited to private transfers, executive chauffeur services and day trips island wide. 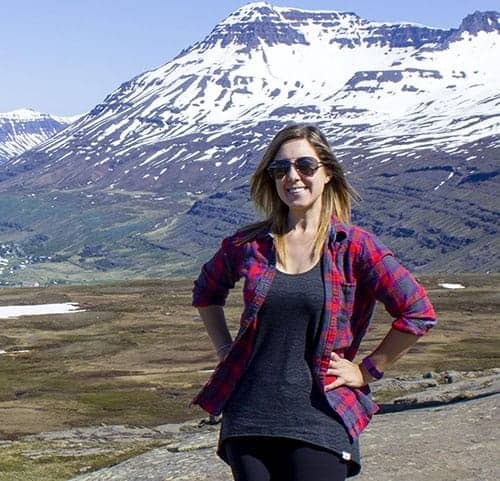 Tours can be arranged for any number of persons– even a lone sightseer. These services are built around a team of professional drivers, all of whom are consistently trained and certified to ensure a superior standard of service. 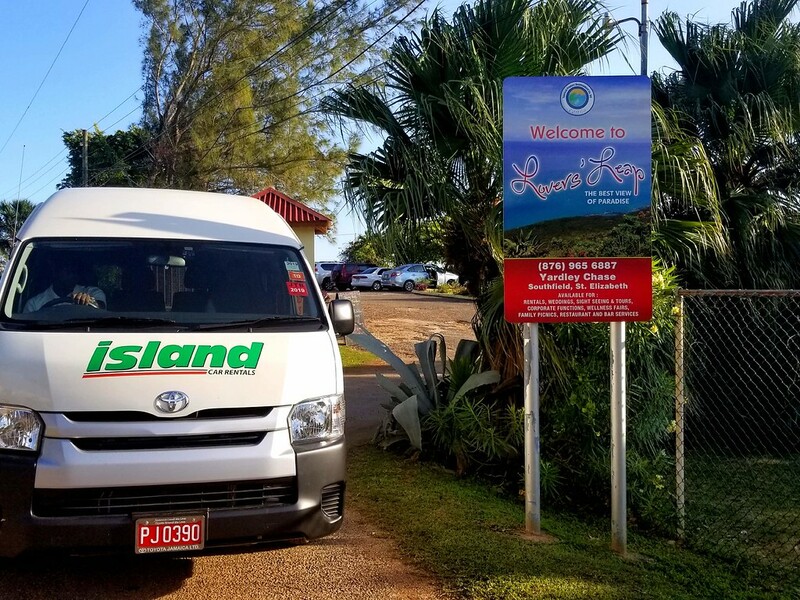 Clients who choose to let Island do the driving can rest easy knowing that they will be taken to and from their destinations in safety, comfort and on time, making Island more than just a car rental company. Have you ever gone to Jamaica? What are the best things to do in Jamaica? I really like the wildlife angle and the cultural immersion that i see through your writing.